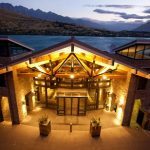 The Rees Hotel Queenstown is to be the centrepiece of a strategy to develop a chain of boutique hotels showcasing an authentic New Zealand experience. From the 12th of October 2018 The Rees Management Ltd (TRML), the manager of The Rees Hotel Queenstown, New Zealand, will be sold to interests associated with Pioneer Capital and current TRML board members Mark Rose and Bruce Davidson. Pioneer was attracted to the successful leadership, established culture and management of The Rees Hotel Queenstown and will leverage these assets as the key ingredients in their development strategy. Pioneer Capital is a New Zealand investment firm focused on investing in high value export-led businesses. The management sale and development plan will enable growth and future security of supply of guest numbers for The Rees Hotel, carefully targeted at the high-end international tourism market. TRML will continue to be the manager of The Rees Hotel and the entire management team and all staff will be retained. Mark Rose will continue as the CEO and the Board of Directors will comprise Bruce Davidson (Chairman), Mike Pohio (Independent Director), Randal Barrett and Shayne Shepherd (Pioneer) and Mark Rose. The Rees Hotel Queenstown opened in 2009, comprises 60 hotel rooms, 90 apartments and five Lakeside Residences and is located on the shores of Lake Wakatipu with spectacular views over the lake to the Remarkables mountains. 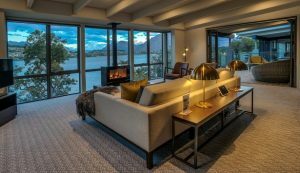 The independent, stylish, luxury property has consistently been internationally recognized and awarded for excellence including receiving New Zealand Tourism’s top Qualmark 5 Star Hotel & Gold Business Tourism Sustainability Award in 2018 and ‘Best NZ Hotel’ two year’s running (2017 /18), in the Australasian Hotel Management Awards of Excellence. Along with awards for service, for its fine dining restaurant True South, executive chef Ben Batterbury and for its wine list, the hotel is also a leader in community service and sustainability initiatives, constantly striving to maintain and further develop the high standards it has set in the New Zealand hospitality industry. The management share sale and resulting development plan will be a very exciting opportunity for all parties and will provide benefits for apartment owners, management and staff and provide certainty of ownership and supply of capital.